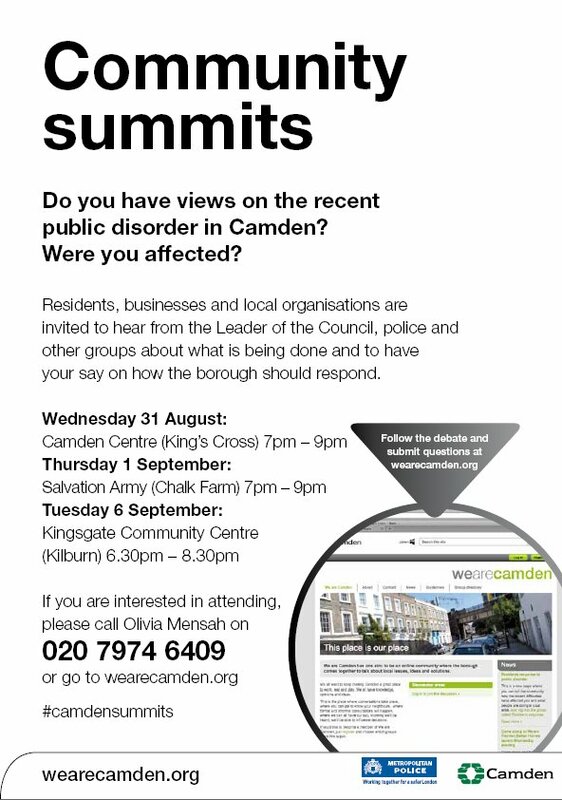 Now it seems that order has been restored to the streets of London after the rioting and looting of a couple of weeks ago, Camden council has set up three public meetings to discuss the borough’s response. Camden Town and Chalk Farm were the worst affected parts of the borough. Nevertheless, as we know, the problems were fairly widespread, with even the relatively calm Kilburn High Road having one shop looted. The nearest meeting for NW6ers is at Kingsgate Community Centre on September 6th. Jubilee Line finished, but closures persist Do you know where it is yet?